You can learn all about the lab accident that brought these monstrosities into the world in The Think Tank, a newsletter exclusive short story that you’ll receive a few days after you sign up. Click here to get that story and more. 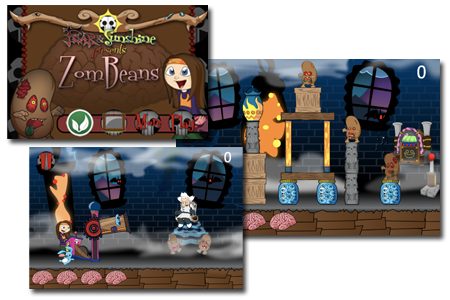 ZomBeans is my first game for iOS and Android. It takes place in the world of Fear & Sunshine after an experiment in reanimation goes wrong. The game takes place after Fear & Sunshine (don’t worry, it won’t ruin the story for you). The game is full of characters from the books helping handle the ZomBean outbreak. And the game is FREE! If you like it and want to learn more about the world of Darksmith Manor, buy the books online or straight from the author/artist/game designer (that’s me, Donovan Scherer) at any of the events that Ratatat Graphics is at. 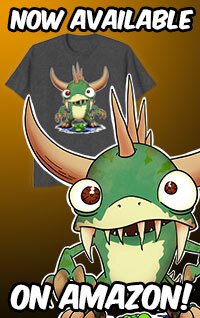 What better way to show your love of dead things than with your own ZomBean?! 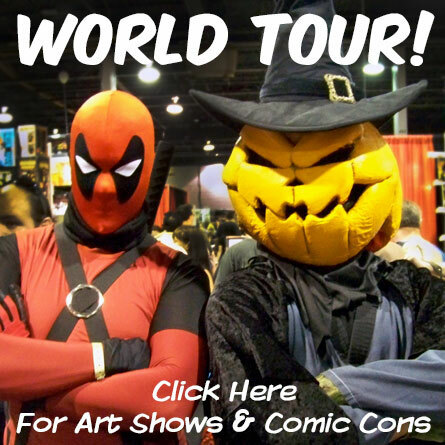 Click here to check out Saint Angel Productions, and start building your undead horde!! !